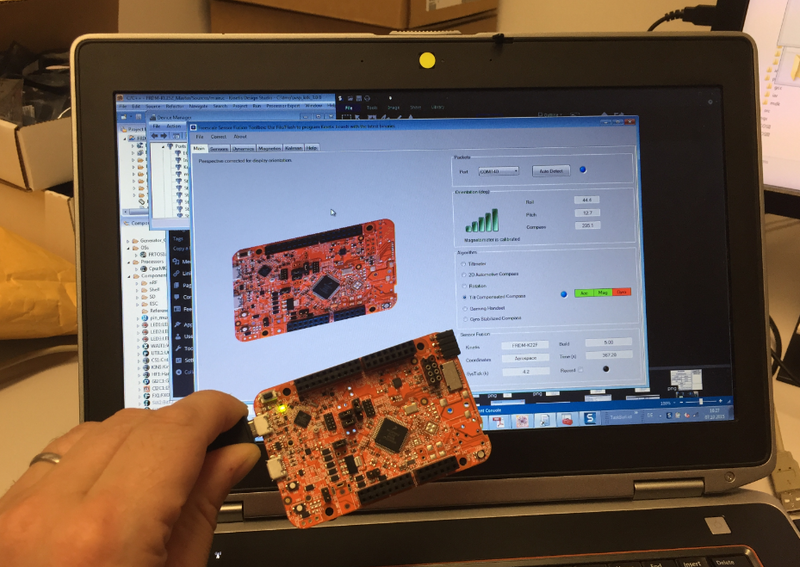 💡 There is as well a smaller board available, just what is inside the ‘white’ box of the FRDM-STBC-AGM01 board. Basically the same board, smaller, and without the Arduino headers. 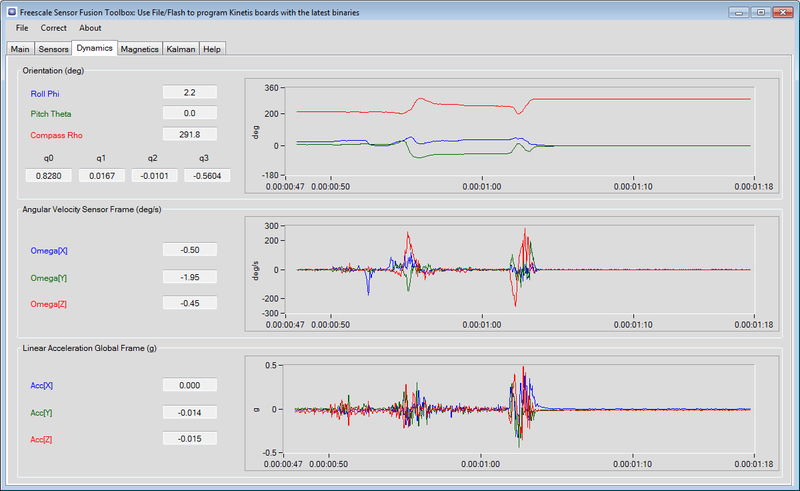 Go to the Sensor Fusion Webpage (www.freescale.com/sensorfusion) and download the Sensor Fusion Fusion Toolbox. 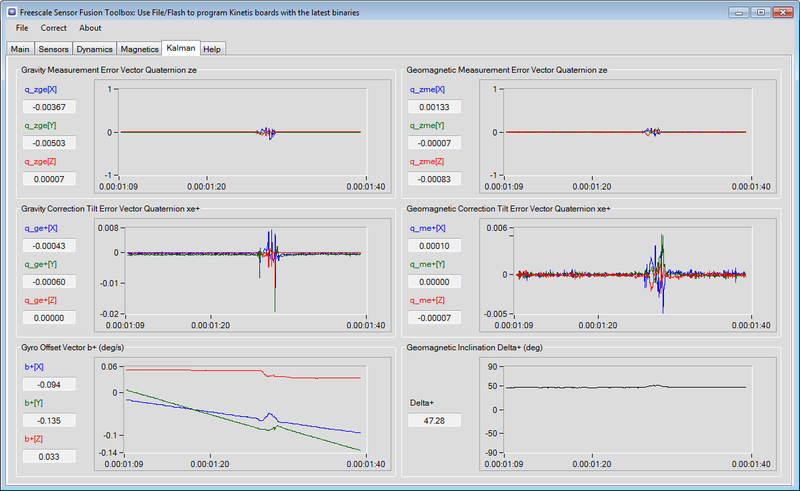 Install the Sensor Fusion Toolbox. 💡 Sometimes I had a problem that the wrong board was shown or it was stuck. 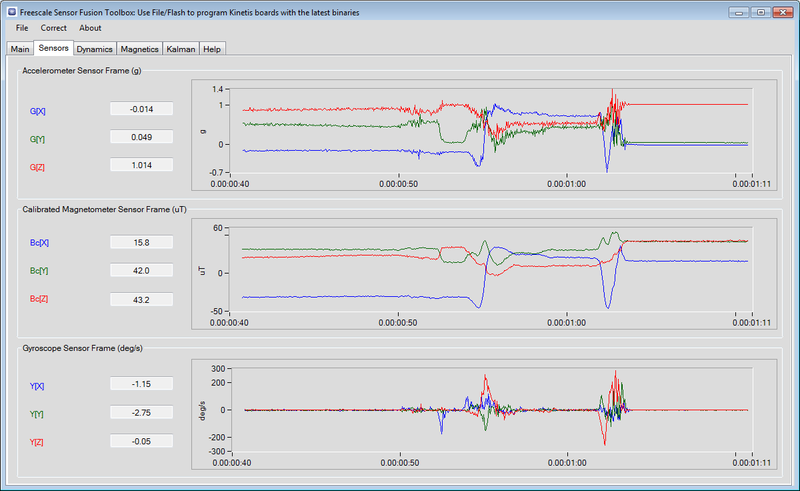 Unplugging the board and restarting the toolbox helped. 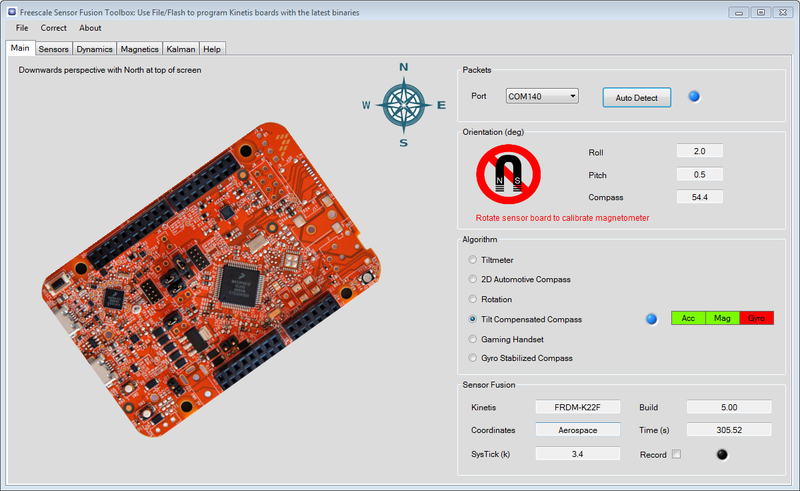 The web page on www.freescale.com/sensorfusion hosts a library with Kinetis Design Studio projects (Sensor Fusion Library for Kinetis MCUs). 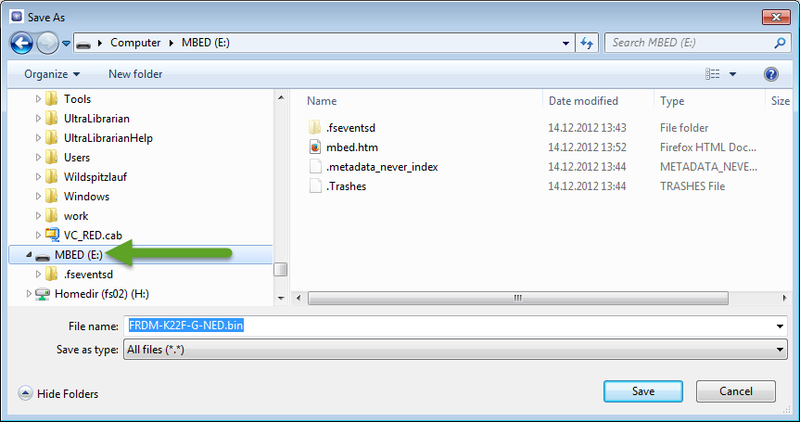 I was able to use the V5 or the library with the Kinetis Design Studio V3.0.0. 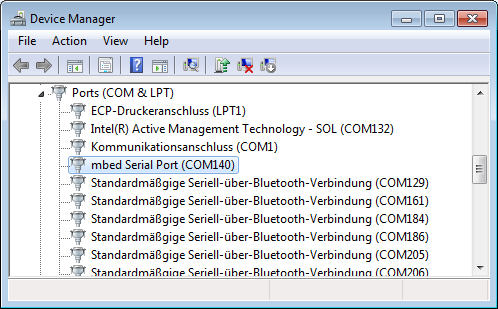 The projects emit over the UART-2-USB OpenSDA bridge data to the sensor toolbox. 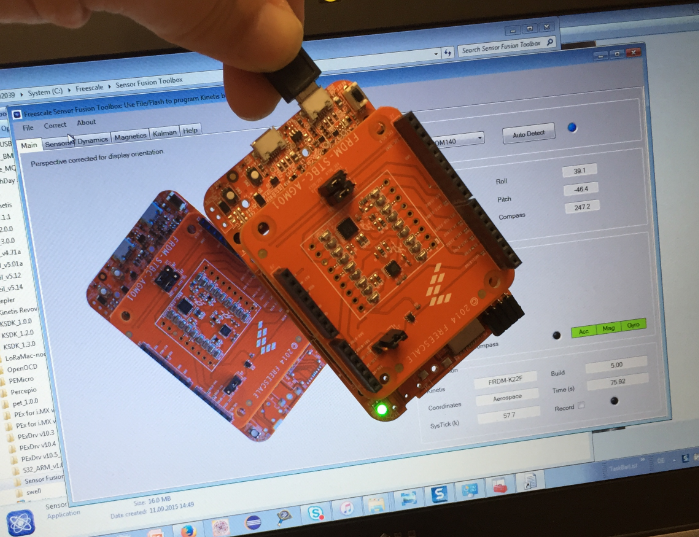 So that way I can build and debug the demo applications which come as binary files with the Sensor Toolbox, and can use the projects as a starting or inspiration point for my sensor data processing. 💡 Some of the demos in the Library have an issue described in “Eclipse Project ‘Refresh Policy’: Broken Incremental Build with External Make?“. Additionally, I have found that some debug/launch configurations are either missing or incorrect, so it is necessary to fix this before the projects can be used. 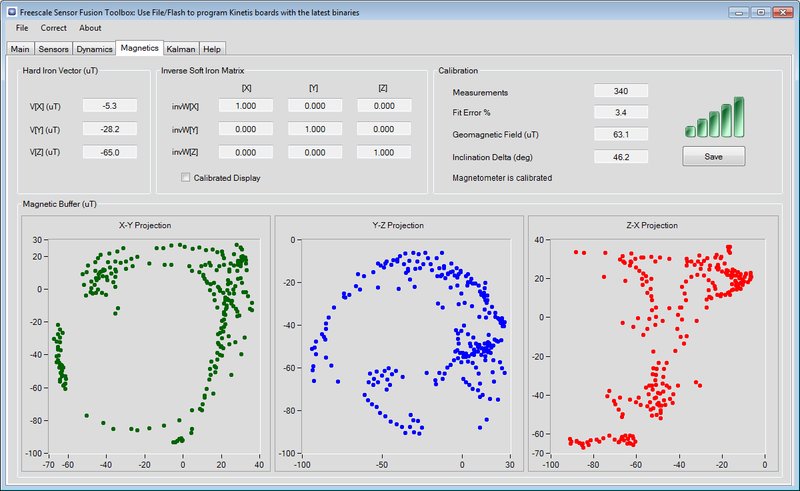 What makes the demos and application outstanding is that they are using Processor Expert: that way they are easy to use, configure and build. 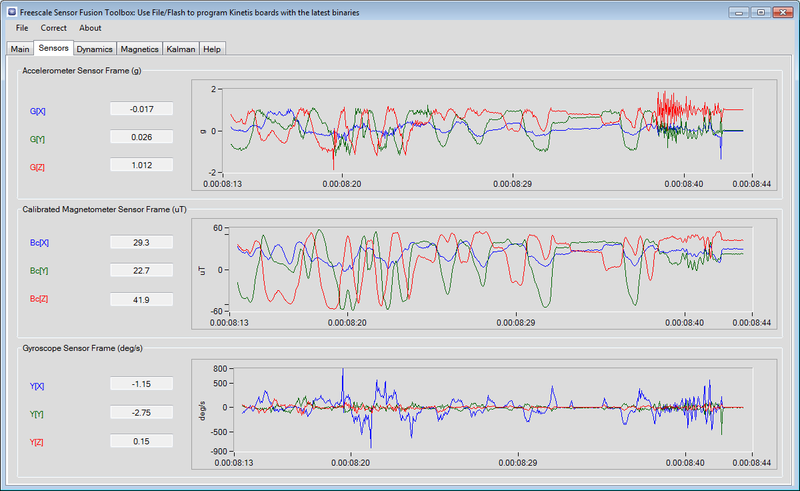 The Freescale Sensor Toolbox gives me a great start and feeling for the sensors. Now the challenge will be to have the quadrocopter using it. The Sensor Fusion library has some out-of-the box challenges, but for anyone familiar with Eclipse 😉 that’s not a blocking point. So in my next steps I plan to join the drivers in to my application. 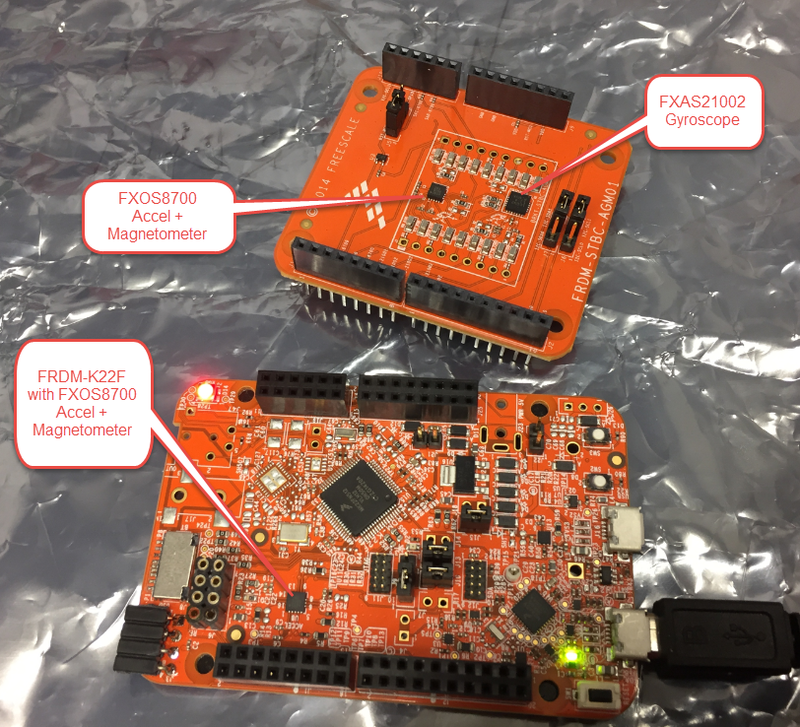 This entry was posted in ARM, Boards, CPU's, Embedded, FRDM-K22F, Freescale, Graupner Alpha 250Q, KDS, Kinetis, mbed, Processor Expert, Quadrocopter and tagged FRDM-K22F, freedom board, Freescale, Processor Expert, software, software project, technology by Erich Styger. Bookmark the permalink.